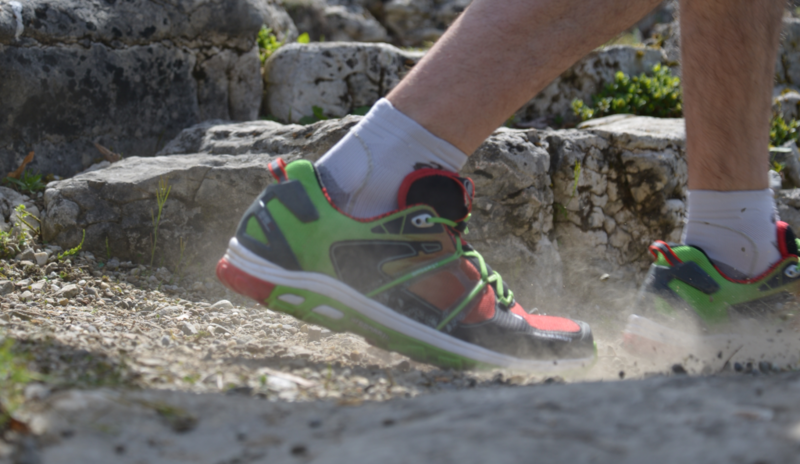 Basic protection and support of my foot driving force, I described vividly in the first test of sport equipment, means in the article entitled Mammut MTR Pro Low, where the heroes were shoes for running in the terrain. Since the drive transmission is protected, I can take a closer look at a warehouse facility, in other words at the backpack Mammut Lithium Z 20 (mentioned loosely at the occasion of my aiming for the Moon). I start with the most important matter, namely the color. The backpack is green-gray (code named dark spring-iron). I like very much these sophisticated color names that are used by Mammut. Just like in the American movie about commandos rescueing the world from the overwhelming forces of the communists, terrorists or aliens (Alpha Romeo Mike Yankee Alpha Lima Papa Hotel Alpha Bravo Echo Tango). 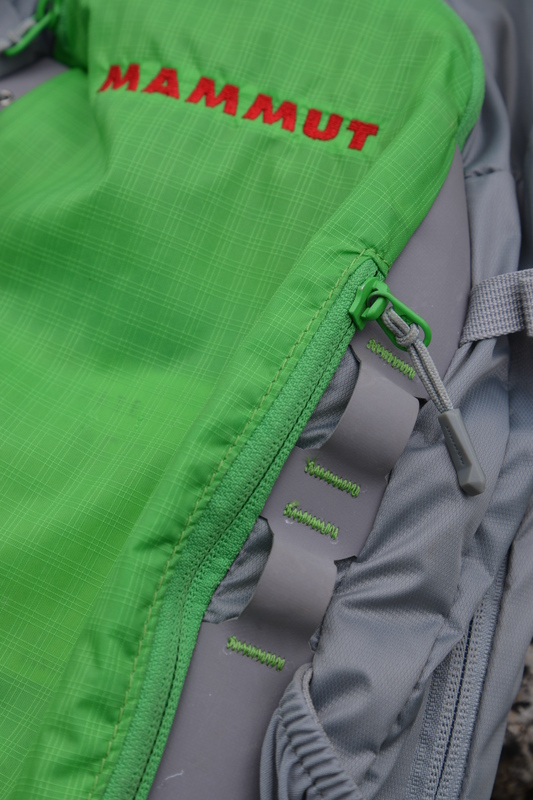 On a green fabric red Mammut logo looks fantastic! 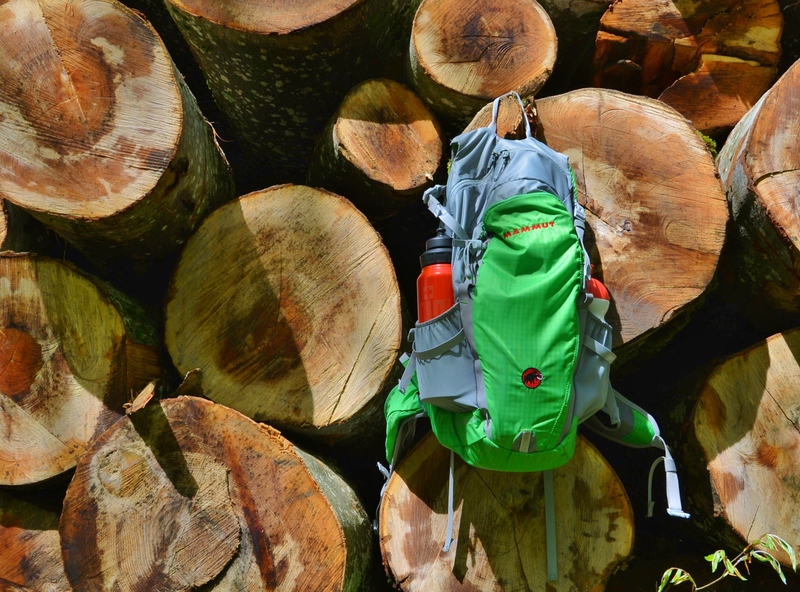 Backpack Lithium Z 20 can be aquired in two more colors (dark orange-iron and smoke-iron). I like the most version with the green. Over! But the golden tree of life springs ever green. Und grün des Le­bens gol­dner Baum. 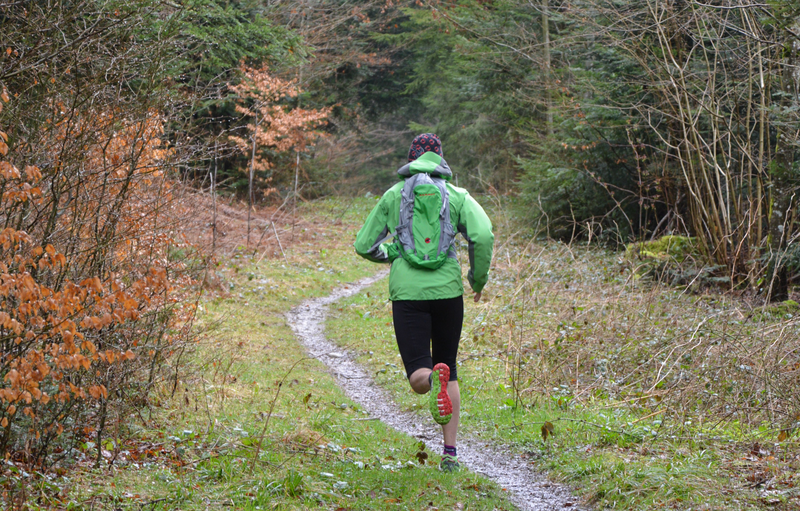 It is a backpack designed primarily for trail running but fits to all outdoor activities. It weighs only 630 grams according to the manufacturer. Me, on the kitchen scale (which my wife uses to prepare delicious cakes), came out a little more, because about 670 grams. Its dimensions are 48x26x19 centimeters. Name Lithium in the designers concept comes probably from lithium, which is the lightest metal known, with the atomic number 3. This element is highly reactive and flammable, so must be kept it in mineral oils or in an inert atmosphere. I remember from chemistry class, like a piece of lithium pulled out from the kerosene and thrown into the water was going round on the surface and was dissolving, fuming a huge amount of bubbles (hydrogen). He opened the knapsack and took out a pair of boots and heavy socks along with rolledup trousers and a coarse denim shirt. Somewhere in his past he had learned to pack with an economy of space; the knapsack contained far more than an observer might think. Where had he learned that? Why? The questions never stopped. 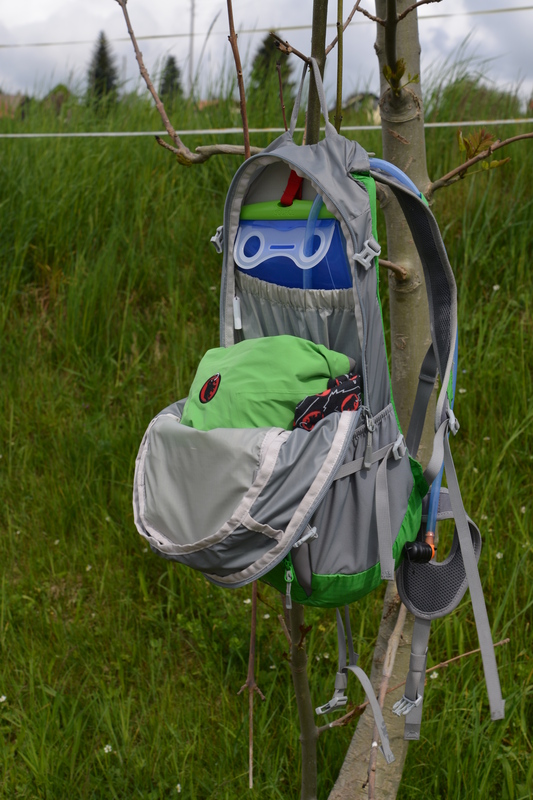 Backpack is compatible with a hydration system – a water tank with a pipe transferring water to the mouth. 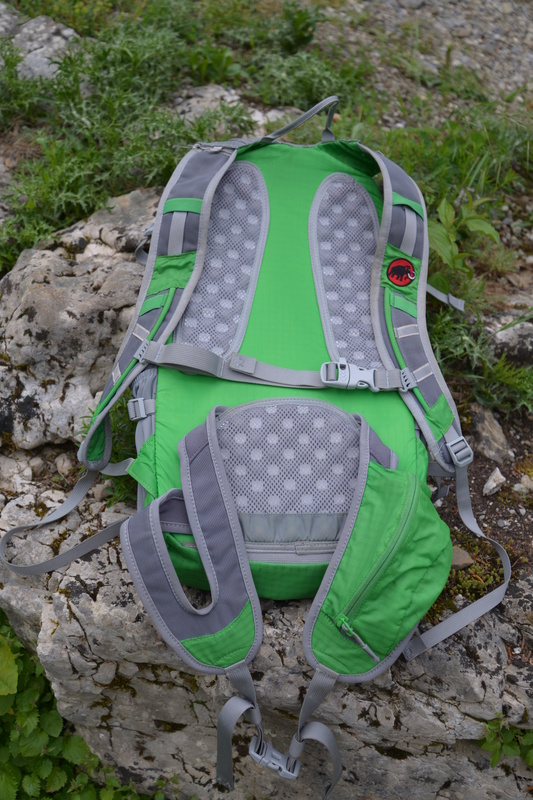 From the main backpack chamber, tube can be lead out through the holes on shoulder straps, on the left or on the right side and attached under rubber grips. The hydration system is a fantastic assistance during long runs when at any time it is possible to drink without stopping and taking off the backpack. It is also important that when you insert the mouthpiece into the mouth, hands are free. The first time I used the hydration system in a backpack Mammut Lithium Z 20 was on Trail du Dents du Midi and as I said, I was delighted. 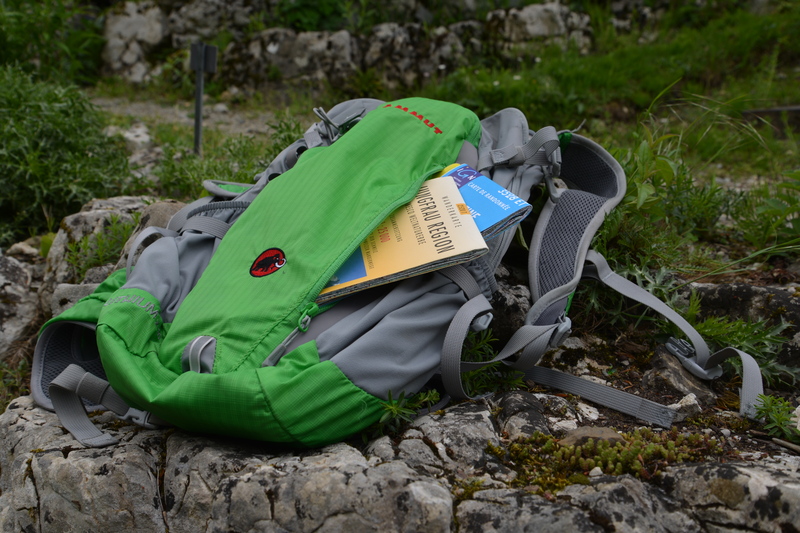 … and larger one, occupying more or less the entire front wall of the backpack (eg. for documents, maps). On both sides there are two flexible pockets (eg. 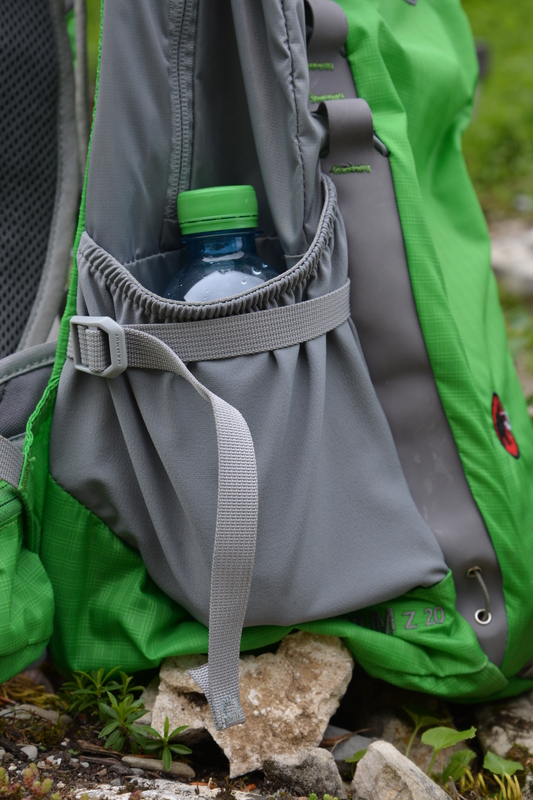 for a spare water bottles, glove or cap), which can be further tighten and secured by means of straps. The suspension system consists of elastic shoulder straps with a soft mesh on the side of the back that dries quickly and allows the body to breathe (3-D Air-Mesh). From the outside, shoulder straps are reinforced with nylon mesh. As I said, on shoulder straps there are elastics sewn to attach the hydration tube, as well as reflective elements. Chest strap with a clip and whistle can be adjusted up and down, and of course wide. 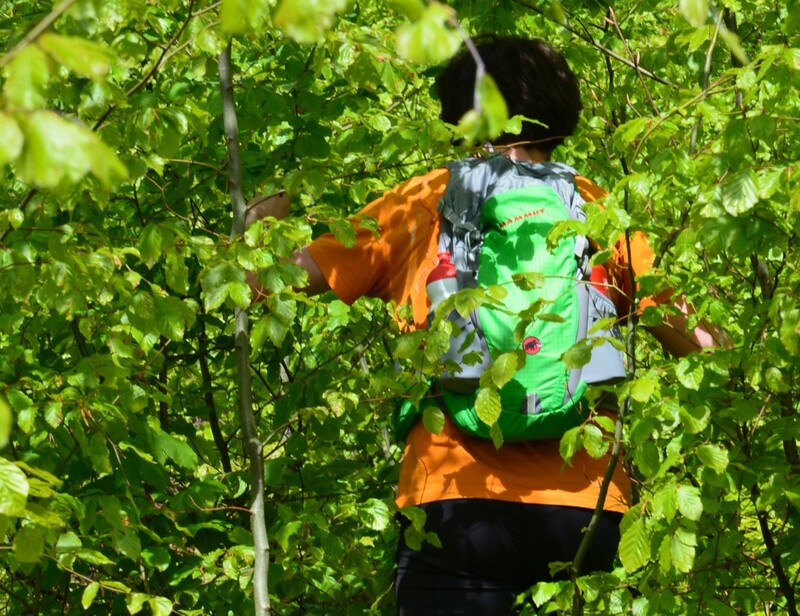 It prevents the shoulder straps from sliding sideways and prevents repositioning of the backpack during the run. On the back side of the backpack being in contact with the back, there are soft mesh padding supports (made from 3-D EVA foam) with ventilation channels and between them “a chimney” allowing air circulation. This backpack for my own needs is perfect. It stick to the back ideally, it is very comfortable, does not cause abrasions and allows back to breathe. And, of course, it is green. The Blue said: Waste of breath. Everybode will discolor with time. It ran with me already some kilometers, therefore I know what I write. What is more, my previous trail backpack from another company was not so comfortable and slightly rubbed the skin (seams were made from something that looked like a fishing line and in places where this line jutted from the fabric, it made a fakir from me). Among green fields and soil! …it is resolved in a very interesting way. 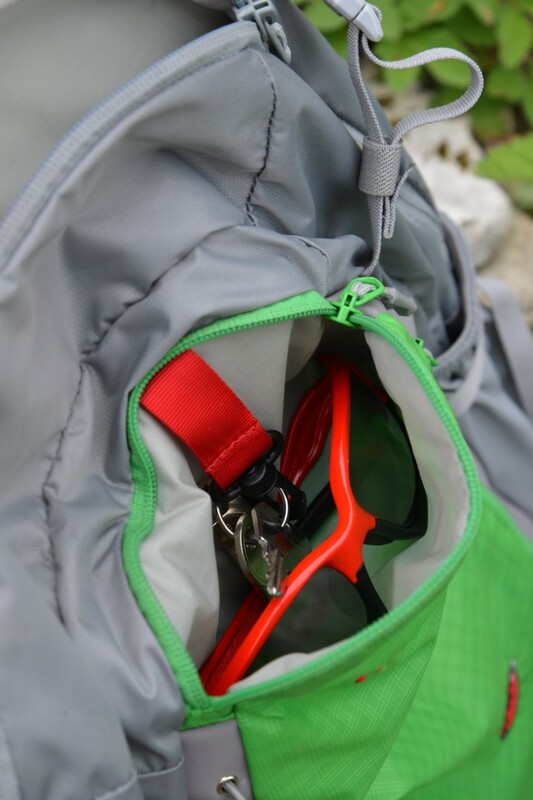 At the bottom part of the backpack there is a retractable metal cable which can be pull out and slip back. One end of a pole is to be insert into the cable and the other is fastened on top of the backpack with a strip closing. Theoretically to this backpack can be still attached various items which are considered to be necessary during competition, training or trip (eg. cup). This is done with 4 very strong hooks on the front of the pack and 2 on shoulder straps. In practice, the extra things dangling by a backpack during the competition only disturb the balance and cause unnecessary noise but on a calm trip with the family or friends it is possible to hang there all Needful Things. Recently I was writing less and running more, what has resulted from the task I undertook – I can proudly say that I was running and… testing. Testing is a new matter for me and the challenge is even greater because I have chosen as the test object, running shoes of my beloved Mammut (sorry for that intimate statement). Love is a beautiful feeling but it becomes even more beautiful, when has been tested in extreme conditions. Love is a very beautiful flower but you have to have the courage to go look for it at the edge of an abyss. As it is usually happens with… the first time, I wanted to approach it in a special way. I was thinking long how to perform such a test in order to show in subjective and at the same time objective manner all the characteristics of mountain racing shoes Mammut MTR 201 Pro Low. I thought, and I came up with – the best to do it is my own way. Shoes Mammut Pro Low MTR 201 appeared in my life in a black box with a red Mammut logo. They were additionally wrapped in original paper covered with the inscriptions MAMMUT. For running it does not have any meaning, of course, but it testifies to the quality of a product. Swiss watches have also couple of layers of packaging, through which you have to get through before the moment of putting the watch on the wrist. Out of the box and paper I quickly put shoes on my feet and went for a run… Oh, and I cut labels. Should, without eyes, see pathways to his will. Just in case, I remind that the first run in new shoes should be short to avoid abrasions and blisters that often occur when changing running shoes to new ones. Is it due to the short 10 kilometers distance or maybe due to the resistance of my graceful feet or finally maybe thanks to the quality of shoes, nothing bad happened, and the first attempt was successfull. But one after another. Tested model has rave green-red color with a technical name spring-inferno; other available colors are inferno-black, dark cyan-sunglow and light gray-imperial. 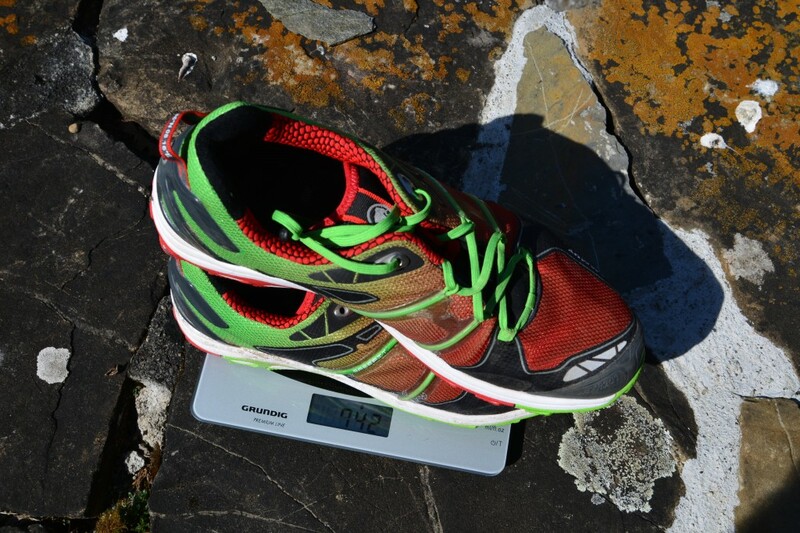 Shoes weigh 742 grams (UK size 10.5) what probably fits in with the manufacturer’s data, who declares 676 grams in specifications for UK size 8.5. MTR 201 Pro Low are not waterproof, which can be a disadvantage when running in the rain, but thanks to that are lighter than models with GORE-TEX (they have an additional three letters GTX in the name) with more than 100 grams, which in turn can be important in long-distance races, when at the end of the route, each additional gram is felt in the legs. Instead of heavier waterproof membrane in this model was used lightweight mesh that dries quickly when soaked and allows feet to breathe. 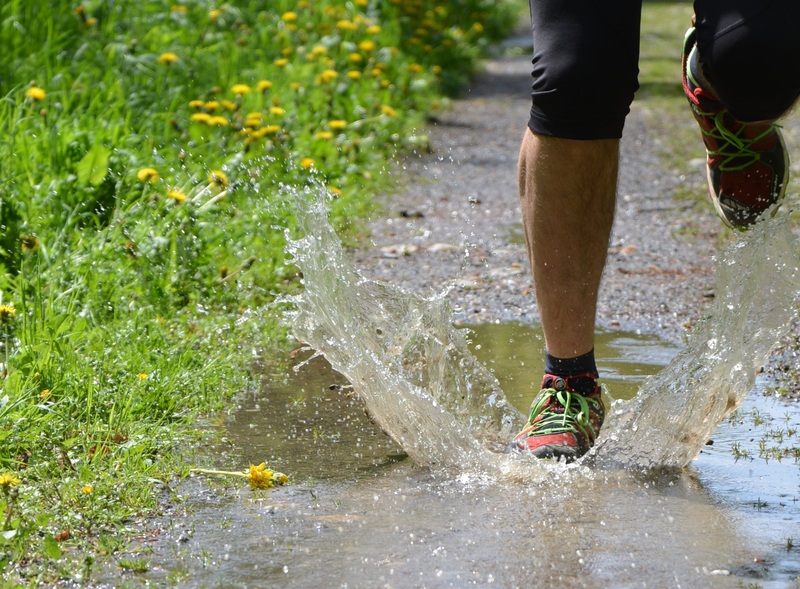 I was running a lot on wet, muddy roads, in the rain, and after the rain, near rivers and streams. The mesh get drenched quickly, but… as soon as the contact with water ends, it begins to dry quickly and if I am lucky enough that eventually the sun comes out, I return home with dry shoes. In addition, the lightweight mesh construction has good permeability and draws heat away from the feet. Why this happens is seen sharply when looking “through the shoe” against the light. 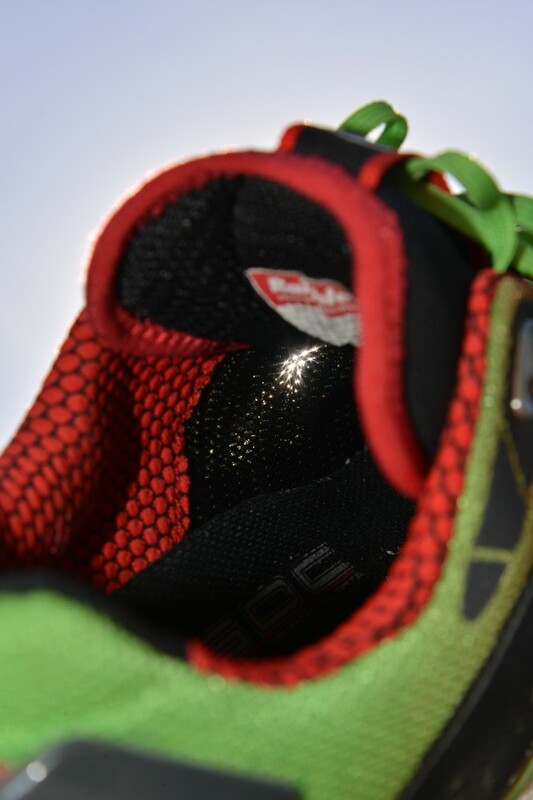 Fabrics used inside the shoe are soft to the touch and cause the foot feels comfortable. Outside, in contrast, in sensitive areas rubber reinforcements were used (Rubber toe cap) and heel support system (360 Heel Support). As described by Viktor Suvorov, the former soldier of Specnaz (Soviet special forces), in the book “Aquarium”, materials used in commando’s clothing should be from the lining side soft like woman’s skin, and from the outside rough as leather of rhinoceros. 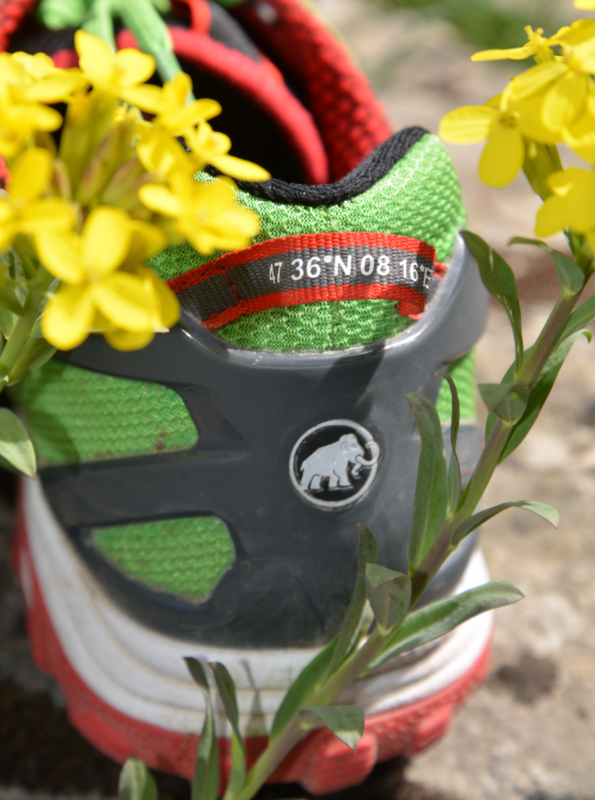 Mammut MTR 201 Pro Low shoes meet these requirements. Now disputable case of laces or rather MTR Speed Lace System, which may but not have to please. As the name suggests, thanks to this system shoes can be quicker laced. With that point, I totally agree – this is done instantly. But then, the remaining “excess” of laces needs to be hidden somewhere. To do so, a special pocket in the shoe tongue is prepared but because it is already located under tied laces, it’s hard to pack the endings. But when it’s done, they seat there and not fall out. If needed, the laces can also be… just laced. Aggressive bi-directional tread pattern holds up well (I would even say perfectly) on almost all types of surface. Mammut gave it the code name Sonar, because his form was modeled on the shape of sonar waves, spreading in all directions; in other words… “The hunt for Red October”. 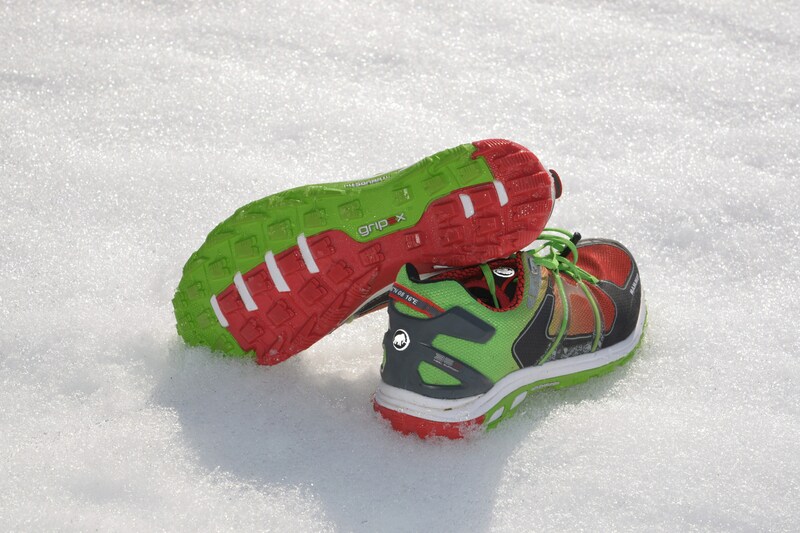 I tested it on a muddy forest trails, sharp mountain boulders, gravel paths, and even in the snow. 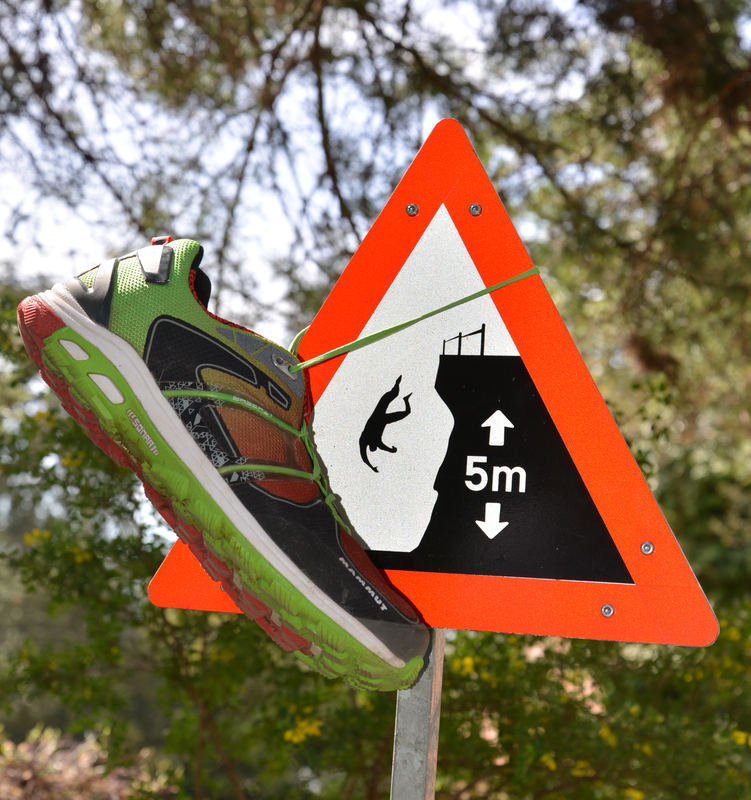 In bounce, as well as in acceleration and uphill running, shoes stick to the pavement as if they were glued. They behave the same way during the rapid run downwards combined even with jumps and provide excellent friction when braking in case slowing down is needed. 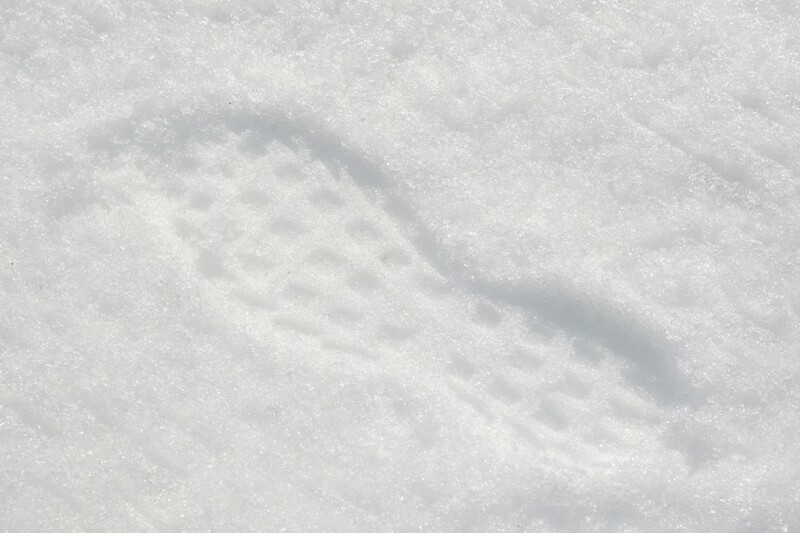 There is almost no slip when landing on loose gravel and can quickly run further. The only one dangerous adventure associated with shoes Mammut Pro Low MTR 201 I experienced on the banks of the river La Venoge. It was a one-off case, but it is my duty to inform about it. It is like with the side effects of medication – one patient out of a hundred will report pimples on… but it is necessary to write in the information leaflet that the medicine can cause a rash. 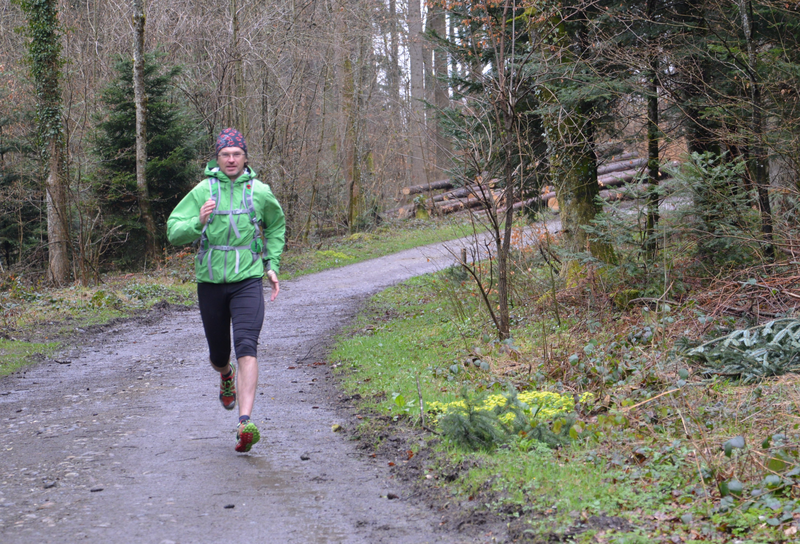 Thus, I was running a beautiful route along the river La Venoge, to the north of its confluence to Lake Geneva in Preverenges. 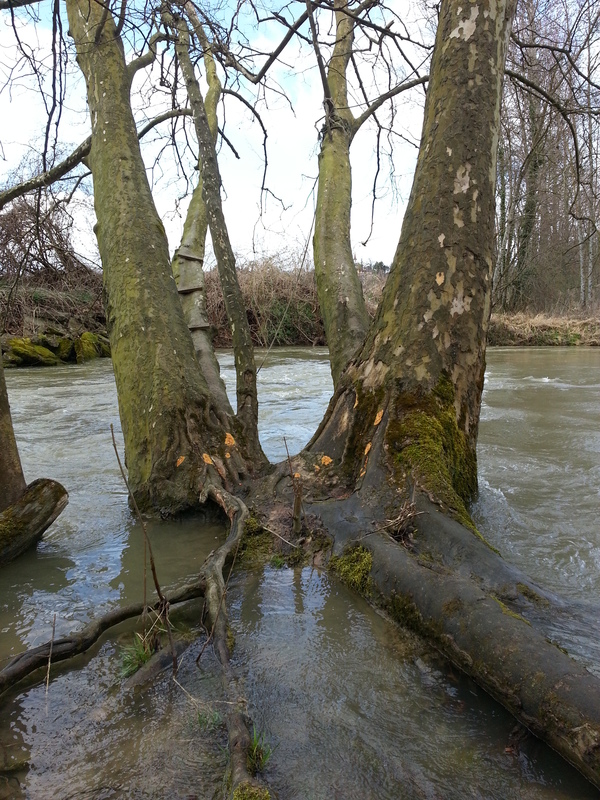 I was running and admiring the wild countryside, additionally wilder due to high water level in the river. Was drizzling lightly. Suddenly, when I was looking to the side of the impressive waterfall, I ran on flat wet stones lying just off the coast and started dancing like mad cartoon characters who step on a banana peel. And, like cartoon characters, I was able to regain balance at the last moment. I was so surprised by the complete lack of grip, that I turned back and looked at the stones. They were, as I said, flat and covered with a green coating (moss?). I touched them with the shoe a few times and it was like on the ice rink. I went back to the same place some time later during fine weather and with some kind of shyness I ran on the rocks. This time they were dry and my feet have not moved even a millimeter. From this adventure I extrapolated such a request, that a wet moss on the stones is not a good ground for Mammut MTR 201 Pro Low shoes (for each shoes, I suppose). To sum up, shoes Mammut Pro Low MTR 201 perform the job very well. The legs do not tire in them, adhesion to the substrate (except wet moss) is sensational, dry quickly, allow the foot to breathe and… they are pretty. 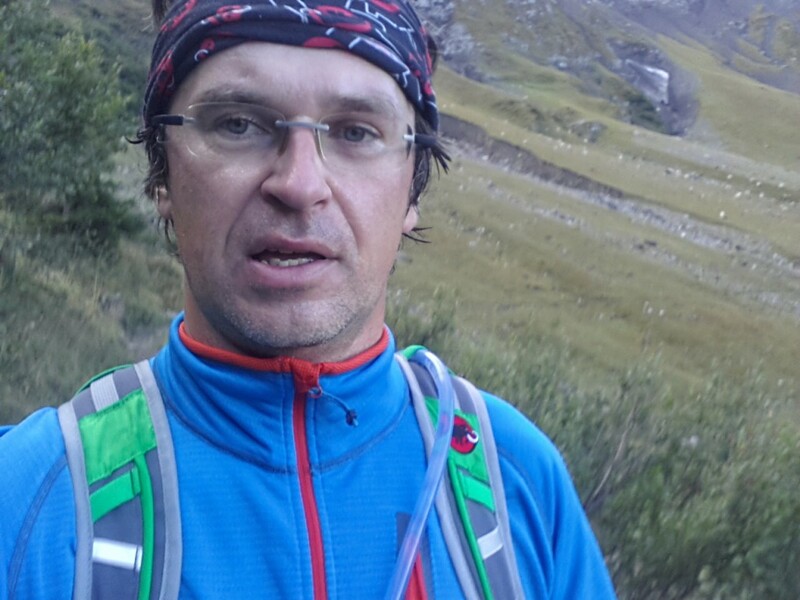 It seems that we will run together for a very loooong time, especially that Swiss Irontrail (91 km) is approaching. Love does not consist in gazing at each other but in looking outward together in the same direction. After attempts in the converter of geographic coordinates, I came at last to the result, which indicated a point in Switzerland, in the canton of Aargau, in the district of Lenzburg in city of Seon, at Birren street, where exists… the factory and headquarter of Mammut. A real fantastic bull’s eye! 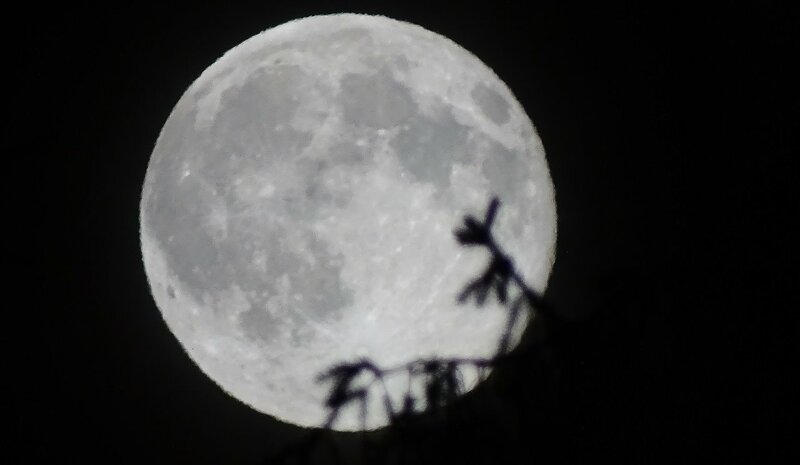 Aim for the moon, because even if you miss, you will be among the stars. 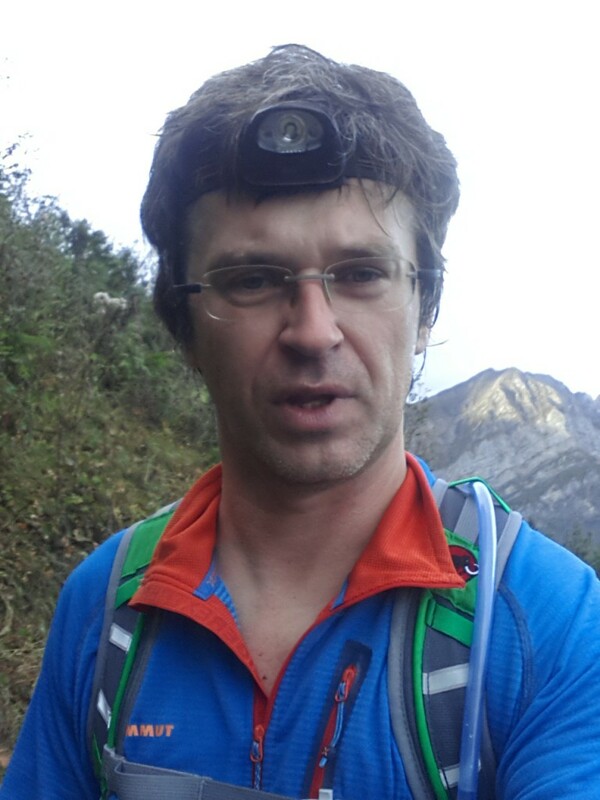 Continuing my interest in mountain running, I took part in the Trail Dents du Midi, this time on a distance of 57 km. Before I will describe my adventures on the race, I have to mention that this time I was not in the “gray mass” of runners in the middle of the field, but I was the only one of its kind – I was the last one! Despite the fact that I rather missed the Moon, the joy of the completion of the race within the time limit was like landing among the stars. 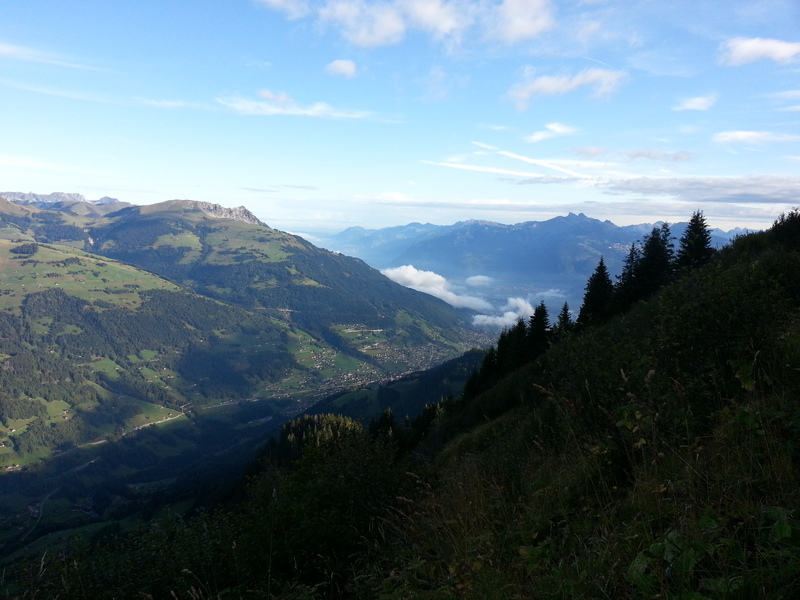 Start was located in Champéry at 1050 meters above sea level. After receiving the start number, after the required control of equipment (torch, water supply, cup, thermal foil, hooded jacket, whistle) and briefing, I aligned on the starting line. It was still dark and the light was definitely needed. Starting time for amateur runners was set for 6:00 a.m. The gun fired and we moved on. Running through Rue Centrale due south we left the town. And here is the interesting fact. The torch illuminated the darkness so that I remembered that I have been here a long time ago, when my younger daughter still rode in the pram. The route Le chemin des poussettes was quiet and safe idea for a nice family walk in the nature. 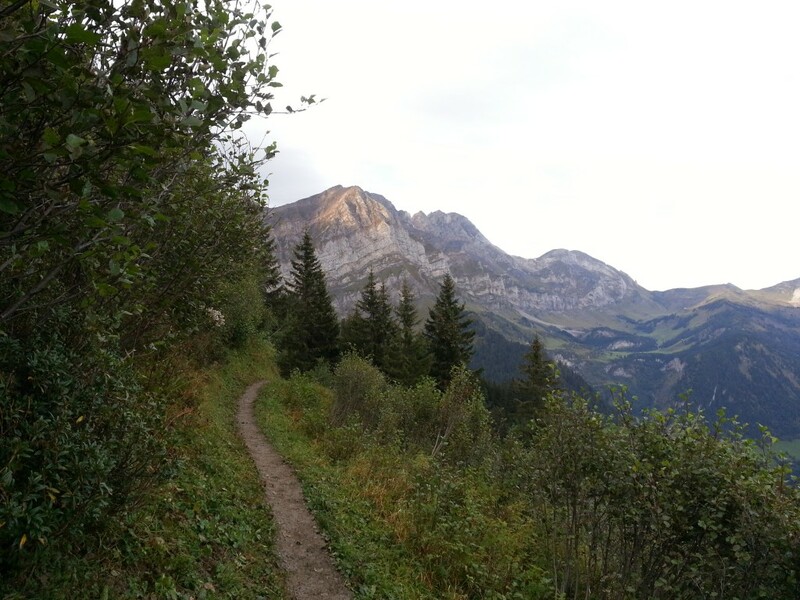 Distance from Champéry to Grand-Paradis is about 2 km of gentle paths through the forest. On the spot there are great views to the majestic peaks of Dents du Midi and the possibility of dining in a covered place for a picnic. Return to Champéry by the same route. This time I did not see the peaks and to the finish line in Champéry I still had about 55 kilometers through the mountains. 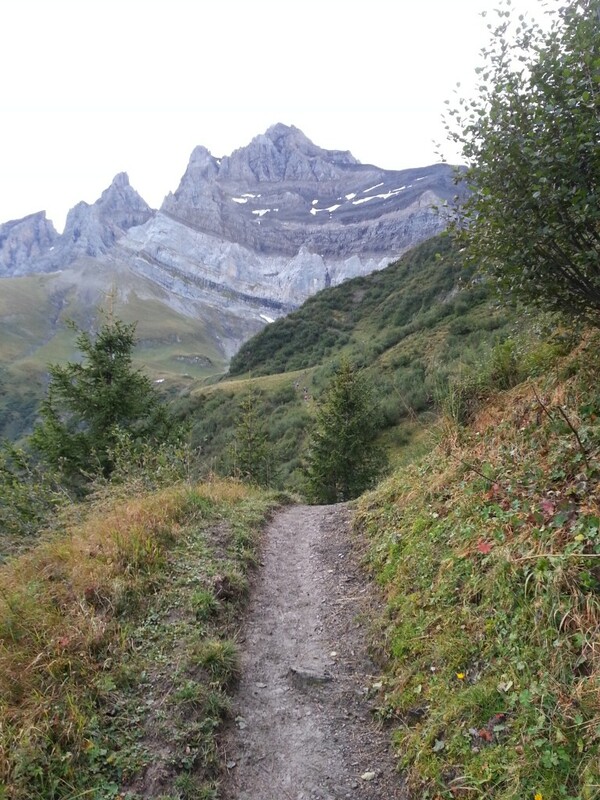 From Grand-Paradis I ran lightly up the valley, through the Forêt de la Lui, up to a height of 1200 meters. Here the climbing began by the slope of the Dent de Rossétan to a height of about 1600 meters. Then, there was more or less flat terrain, suitable for running and rippling peacefully in the range of 400 meters up and down. It started to get light about 7:30 a.m. and soon the rising sun illuminated the mountain peaks. Speeding up slowly by gorges. Settles on the rocks edges. 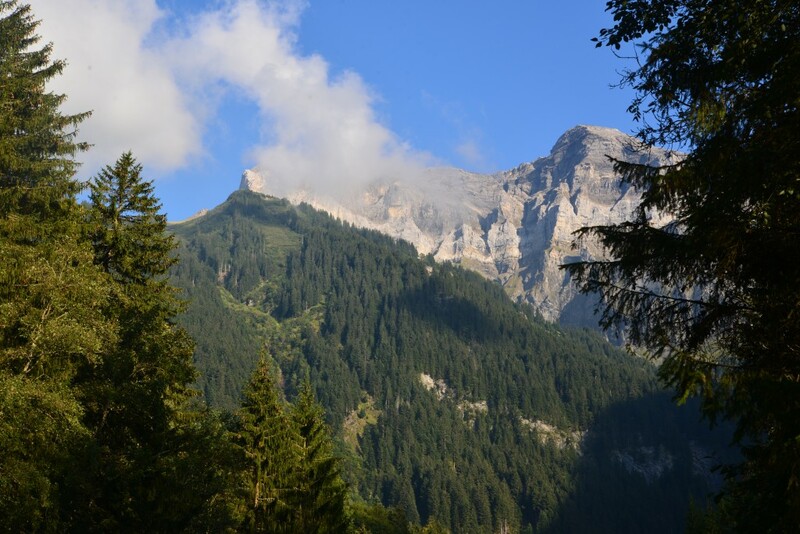 The first checkpoint was at the foot of the Haute Cime, which is the highest “tooth” (3,257 m asl) in the group of seven peaks of Dents du Midi. Then a long section of several kilometres around the height of 2,000 meters, up to Signal de Soi, which was the first nutrition point (stocked like a 5 star hotel – bread, cheese, chocolate, fruits, tea, Coca-Cola, water). Energized, I moved forward and continued enjoying the path rising and falling gently, still on the north side of the “teeth”. Grandma, why you have such big teeth? 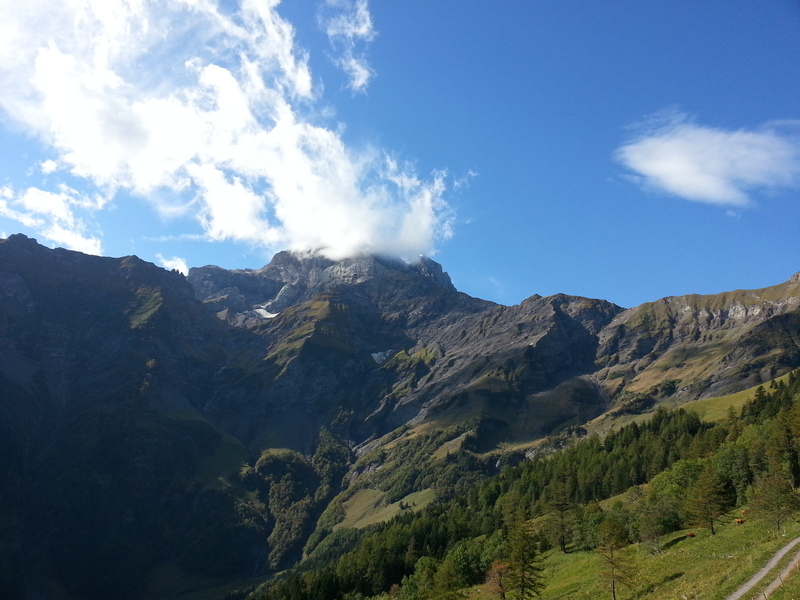 From Chindonne (1604 m asl) a steep downslope toVérossaz (811 m asl) began. In this village there was a change of runners in the relay race. Myself, not boasting about, also the second half ofthe route planned to overcome personally. First, however, I ate something and rested a bit. Around 11:30 a.m. I departed for further journey and after five minutes overtookme the first of the professional athletes, who started the run at 9:00 am, means three hours after me! For a long time I ran roughly at an altitude of 1100 – 1200 meters, encircling the massif of Dents du Midi and heading more and more to the south. I ran across Mex and further by the dam (where was another checkpoint), I got across to the other side of the Torrent de St. Barthélemy creek. 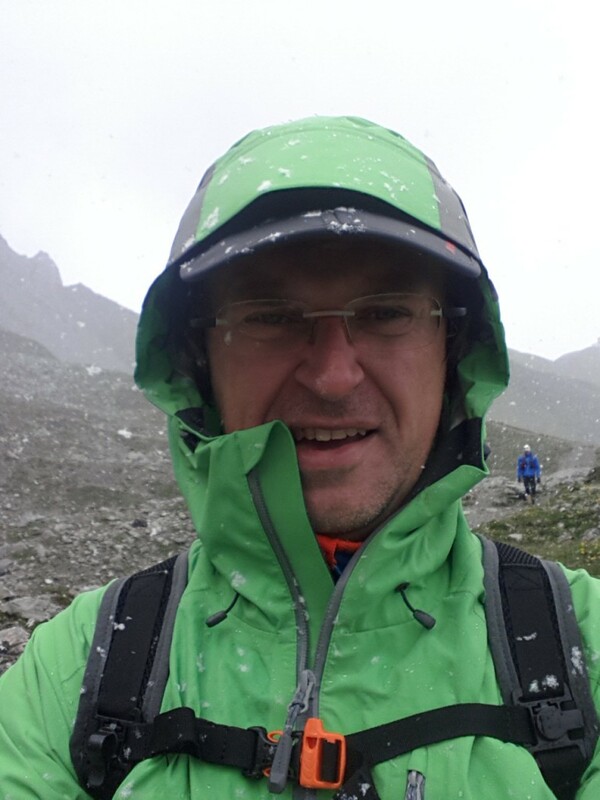 Here, at an altitude of 1182 meters above sea level, I began the arduous climb, which ended only over a kilometre above, on the Col du Jorat (2323 m asl). Throws on spots of grey quarry. As though it afraid the breath of the storm. I must also mention that this timeI took with me the poles and it was a very good decision. Indeed, it is a big relief for the feet and on such a long route with so many hilly climbs, simply indispensable piece of equipment. During the run down on the other side of the pass, the weather suddenly broke down and to the shelter at the lake Lac de Salanfe (1942 m) I came in the heavy rain. Fortunately, there was another nutrition point. I was welcomed with bread, cheese,dried ham and hot tea. 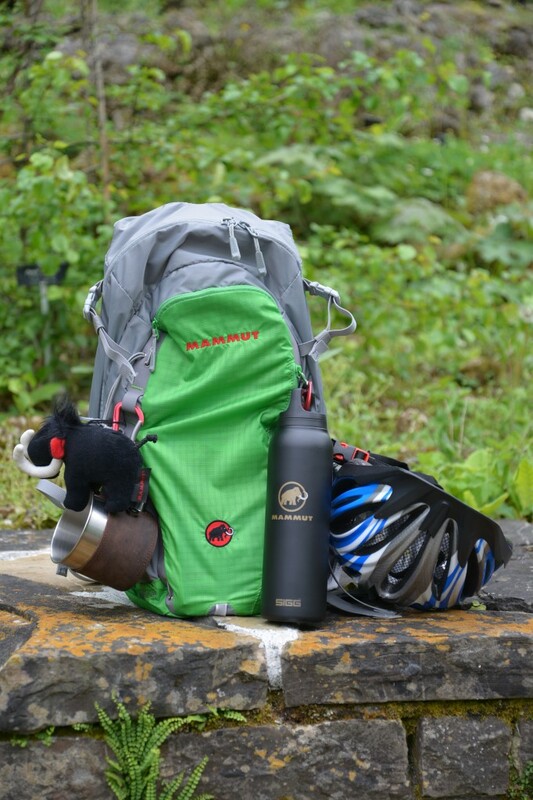 I also completed the supply of water in the tank in my backpack Mammut Lithium Z 20, from which I occasionally have been drinking, through a tube without interrupting the run. It also turned out to bea a fantastic solution. As you can see, I drew conclusions from the mistakes committed in the previous race in Davos. But I made new ones: I hadn’t watch with GPS, so I couldn’t monitor the distance travelled and I hadn’t cloth for glasses, which were flooded with a sweat every now and again. – Marilla, isn’t it nice to think that tomorrow is a new day with no mistakes in it yet? – I’ll warrant you’ll make plenty in it – said Marilla. – I never saw your beat for making mistakes, Anne. – Yes, and well I know it – admitted Anne mournfully. – But have you ever noticed one encouraging thing about me, Marilla? I never make the same mistake twice. – I don’t know as that’s much benefit when you’re always making new ones. – Oh, don’t you see, Marilla? There must be a limit to the mistakes one person can make, and when I get to the end of them, then I’ll be through with them. That’s a very comforting thought. The rain had stopped and from behind the clouds beautiful sun came out. I was now exactly on the south side of Dents du Midi, which from this perspective looked even more menacing and mysterious. Initially I ran off the shore of the lake and then bounced to the right and through the lunar landscape I have begun another climb. This one was, however, a bit different from the previous ones, because at some point the route led over 200 meter high cliffs. Chains railings helped somewhat climbing higher, but previous efforts and respect for falling down few hundred meters, intensified tremors of legs muscle when stuck to the rock walls I was passing over the chasms. Undercut rock from the bottom. A crowd of low-growing spruce. Into the land of eternal snow. Continue crawling all over again! And has free sky overhead! On the sloping edges of rocks. To plummet crashed by the thunders. Through the Colde Susanfe (2494) and another checkpoint, I get into an impressive Susanfe valley, leading down towards Champery. I crossed the finish line as the last one, 17 ​​minutes before the designated time limit, beating 57 kilometers and 4733 meters of positive height difference. Man is incapable not being capable of anything. Consistency of behavior with the presented vision is one of the most important factors in business. It is not well perceived by the public and legislators, when a company says that it does not advertise its products among minors while sponsoring the concert, of which the audience is mostly teenagers. But that’s another story. 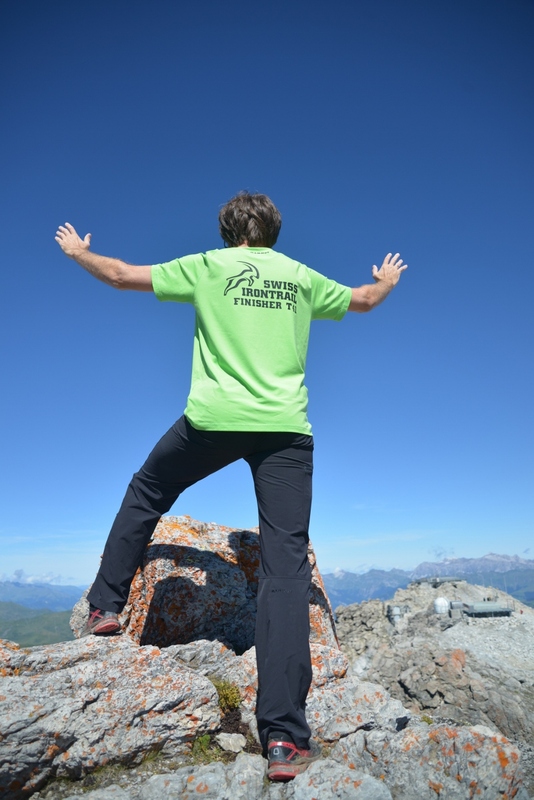 I decided to show that in the real world I’m consistent with what I write on the blog and I took part in the mountain run aptly named “Swiss Irontrail”, and whose main sponsor was the company… Mammut. This time I went to the east where, as Jerzy Stuhr stated in the movie “Sexmission”, “must be some kind of civilization”. He meant of course The Soviet Union. I landed on the eastern edge of Switzerland, in the Canton of Grisons, in Davos, which hosts the annual World Economic Forum. However, with reference to the aforementioned Soviet Union, I have to add, that a frequent visitor to this resort is a former member of the Polish United Workers’ Party (PZPR) and minister in the socialist government, Aleksander Kwasniewski. This behavior did not have consistency at all – eulogist and activist of socialism fell in love with one of the most luxurious resorts in the world (the symbol of rotten capitalism). Well, we are chit-chatting here but there is a time to start having fun. From the old and pleasantly situated village of Mayenfeld, a footpath winds through green and shady meadows to the foot of the mountains, which on this side look down from their stern and lofty heights upon the valley below. The land grows gradually wilder as the path ascends, and the climber has not gone far before he begins to inhale the fragrance of the short grass and sturdy mountain-plants, for the way is steep and leads directly up to the summits above. Start for the 42.7 kilometers had its beginning in Lenzerheide at an altitude of about 1500 m above sea level. 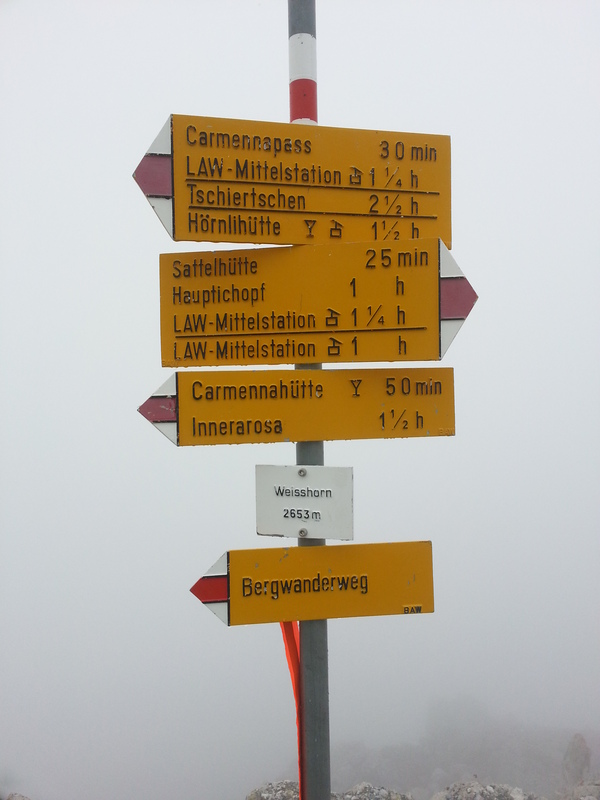 Firstly, 4 kilometers warm-up around the lake Heidsee and then sharply up to 2000 m. After about 15 kilometers, at an altitude of over 2500 meters there was first regeneration point in the cable car station. Then calmly down by the broad road, which in winter is the ski slope and re-climbing to the highest point of the trail, which was Weisshorn peak with the height of 2653 m above sea level. Almost at the end of the climb, when I ran from behind the rocks, I saw a tall man in a black coat standing close to my path. When I ran closer, I saw that he has leaned on the valyrian steel sword – then I recognised him. Eddard Stark, Lord of Winterfell and Warden of the North, pointed with a blade to the summit, said, “winter is coming,” and vanished in the first flakes of snow. With this warning obtained in the last minute, I quickly put on the hood of my green Mammut DRYTECH Premium jacket and with confidence came to the top. There was a snowstorm raging there. Thick snowflakes were whirling in a mad dance and coated the glasses, the wind howled like a bunshee and on the limit of visibility, mysterious characters with blue eyes were running around. Fortunately, the storm did not last longer than 10 minutes, and after a moment beautiful sun looked out from beyond the clouds. 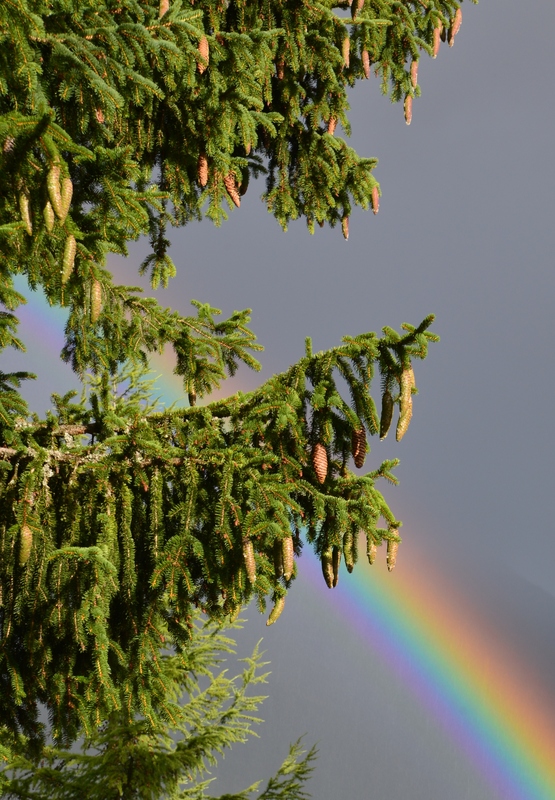 I run down in the sunrays through the Rainbow Bridge to Arosa. There, in the atomic shelter I ate pasta with bolognese sauce and drank Coca-Cola. After about 20 minutes I moved on. 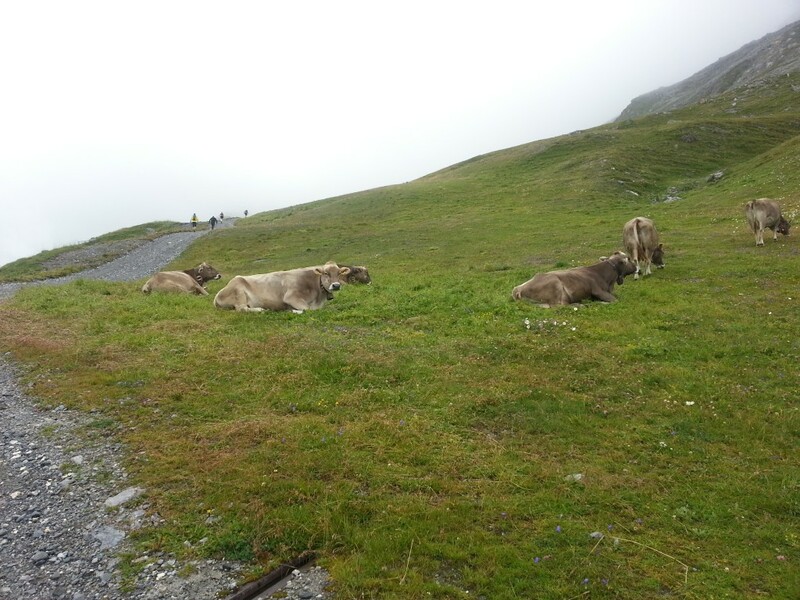 Initially down, which did not bother so much to digest, and then up through alpine meadows where alpine cows grazed. - Daddy, why gazelles have such beautiful and graceful hoofs, and we have such a big splayed hooves? - You see my son, our hooves are adapted to to go thousands of kilometers through the desert, shuffle step by step, constantly forward and not sink into the sand. - Aha. And why antelopes have such a smooth and shiny coat, and we have awful hanging lints? - You see my son, our skin is adapted to to go thousands of kilometers through the desert, still forward, where during the day is extremely hot and at the night the temperature drops below zero. - Aha. And why zebras have such a beautiful and graceful line back, and we have such terrible humps? - You see my son, our humps are necessary for this to go thousands of kilometers through the desert, still ahead, and when other animals have to die of hunger, we can go further by taking food from our humps. - Aha. But why do we need it all, as we though live in the zoo? The last, short stop was in Jatz, after 35 kilometers, at the height of 1831 m above sea level and then 500 meters up on a distance of 2 km. 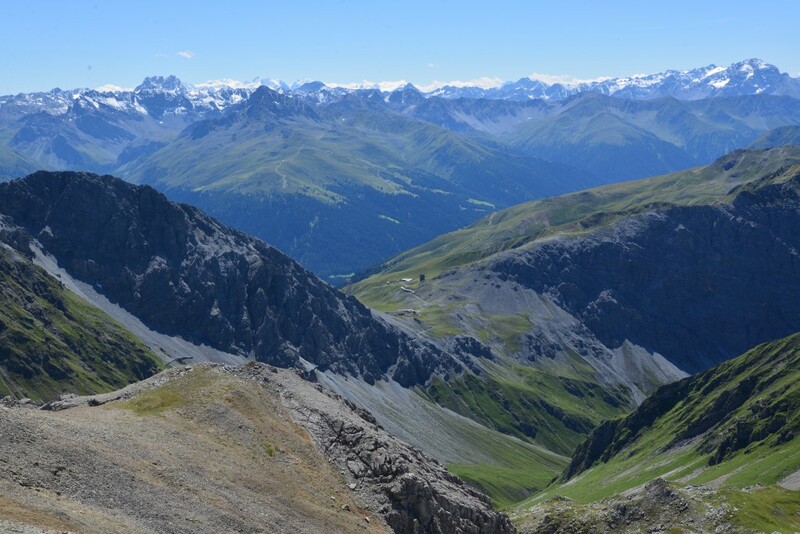 After reaching the Strelapass, where there was a checkpoint, it has been only the long descent to Davos. In Davos, at the finish line my family was waiting for me and also the remnants of fans who were still not bored, despite the fact that they were greeting the winners of the trail more than five hours earlier. At the end of the run through Grisons could not miss Heidi, the honorary resident of the canton. Heidi ran to the far edge of the slope and continued to wave her hand to Clara until the last glimpse of horse and rider had disappeared.